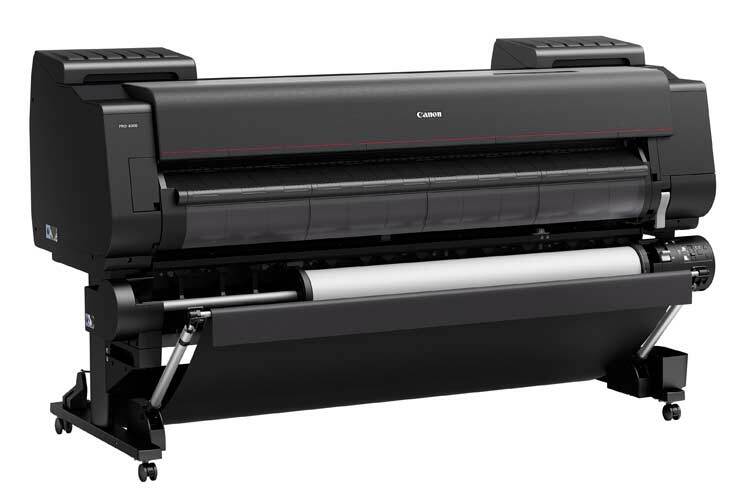 Canon have announced a 60 inch width version of their imagePROGRAF PRO series of printers. The PRO-6000 is a 12 colour pigment ink printer. Just convert any mention of 24″ in that review to 60″. 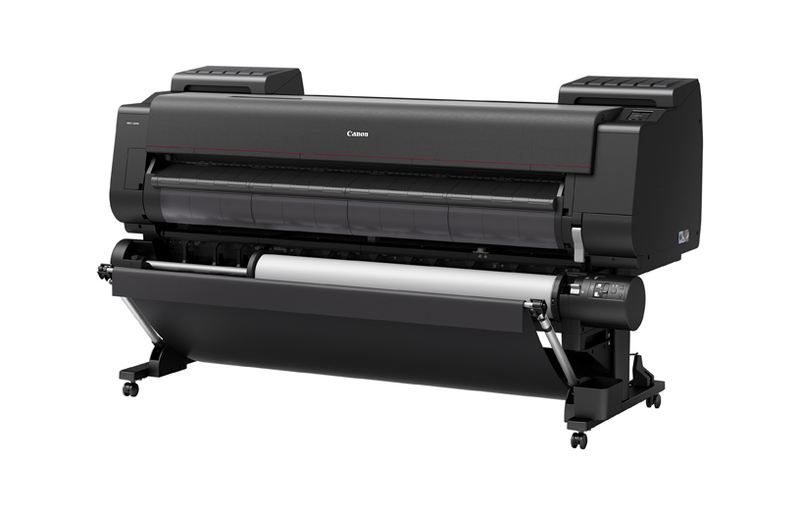 The PRO-6000 expands the PRO Series models offered from 17-inches to 60-inches wide, giving users the ability to own multiple sized printers all with the same print head, ink and image processor, helping to ensure the same high quality across the line. As with previous models, the PRO-6000 device’s sleek design emphasises the link with Canon’s EOS digital cameras and red-line “L-series lens.” Highlights that set this model apart from the crowd include its 60-inch print width, the ability to feed from the only standard Multifunction Roll System in its class and a 12-channel system including Chroma Optimiser that offers spectacular image quality for the fine art and photographic markets. Included with this new imagePROGRAF PRO printer to help enhance user experience is Print Studio Pro, a plug-in for Adobe Photoshop, Adobe Lightroom  and Canon Digital Photo Professional software. The Accounting Manager utility is included to help photographers keep track of consumable costs, such as ink and media, to help users determine their overall printing expenses. Also included is Device Management Console, an administrative tool which provides users with the means to manage up to 50 imagePROGRAF PRO Series printers, all from one location. 1 Adobe Photoshop and Adobe Lightroom software must be purchased separately. 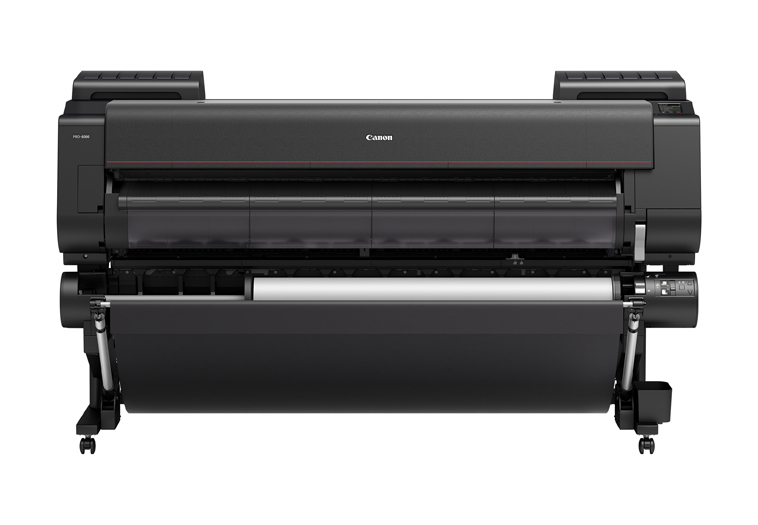 London, United Kingdom, 20 July 2017 – Canon, leader in imaging solutions, has launched its new 12-colour 60-inch large format professional inkjet printer to complete the award-winning imagePROGRAF PRO series. The PRO-6000 offers unsurpassed photo printing with a 12-colour ink system, dual-roll printing for excellent productivity and a space-saving design. As the largest model with the largest ink system, the imagePROGRAF PRO-6000 rounds off the full line of printers in the Canon PRO series.